There is a global movement to introduce fuel cell systems as a source of renewable power for light rail transport application. This is in response to the rail industry’s effort to embrace zero-emission technologies and move away from contributing to air pollution and negative health effects in smog-choked cities associated with diesel-powered public transport. Countries all over the world including Japan, the U.S., South Africa and India have tested and demonstrated fuel cell-powered locomotives. It seems China and Germany are leading the way when it comes to applying this technology to light rail. Germany hopes to have 40 fuel cell-powered regional trains in commercial service on regional lines by 2020, and China’s first hydrogen-powered tram was launched earlier this year. While China currently only has 83 miles of tram tracks laid, plans call for spending 200 billion yuan ($32 billion) over the next five years to increase tracks to more than 1,200 miles--and to buy more trams. There have been technical challenges to get these systems implemented. The initial cost of on-board fuel cell systems seemed to be a stumbling block early on; they were expensive. Those costs are coming down as the technology matures, but when you take into account the cost of constructing a new light rail line, including the cost of the overhead electric catenary lines to power the electric trains/trams (calculated to be $12 million per mile in the U.S.), hydrogen fuel cell systems for rail become a cost competitive zero-emission alternative for new light rail deployments. Setting up hydrogen refueling stations is also an important consideration that needs to be factored in. This infrastructure does not exist and needs to be deployed for widespread fuel cell implementation. The hydrogen distribution network is being deployed, albeit slowly, with the help of public funding and progressive community-focused policy development. Technical support for the fuel cell systems needs to mature. The existing infrastructure has seasoned mechanics that know how to maintain and repair their rolling stock fleet. It makes sense. These networks are mature and well-oiled, but if we compare this revolution to the turn of the 20th century with the implementation of rail over “horse and buggy” we will see the same evolution of old and inefficient technology being replaced with something better. With today’s highly trained mechanics and the complex systems of the current system, making the leap to maintaining fuel cell systems is simply a factor of training and hands-on experience that comes as technology is adopted. The design of the new tramcars to include fuel cell propulsion adds a layer of cost complexity to the manufacturing process. As the number of units intended to be deployed increases, the early adopters of this technology will benefit from the engineering investments made in on-board system design. This includes the software, control and energy storage equipment. It isn’t easy starting a revolution, but it seems as if much of the heavy lifting has already been done. 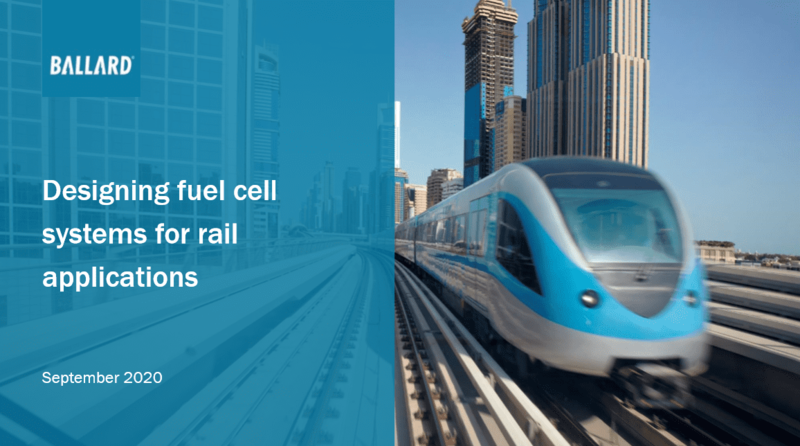 We are seeing countries embrace hydrogen fuel cell power as a renewable energy rail transport solution. With industry partners sharing ideas and resolving technical issues, there seems to be a bright future for this emerging zero-emission transportation technology. Feel free to leave a comment below as we'd love to hear your thoughts on this topic. 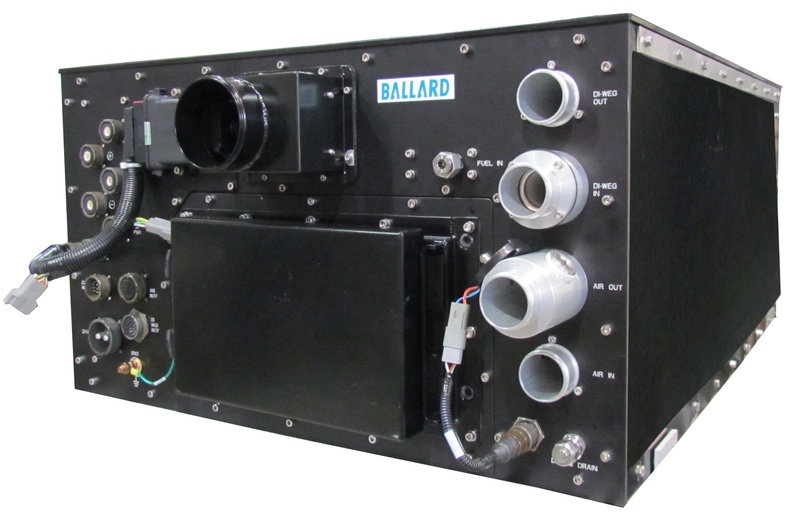 If you are interested in zero-emission rail transport technology, learn more about Ballard’s fuel cell modules developed for rail propulsion as outlined in our Hydrail Presentation, which you can access for FREE through the link below.